All designers have their own way of working. 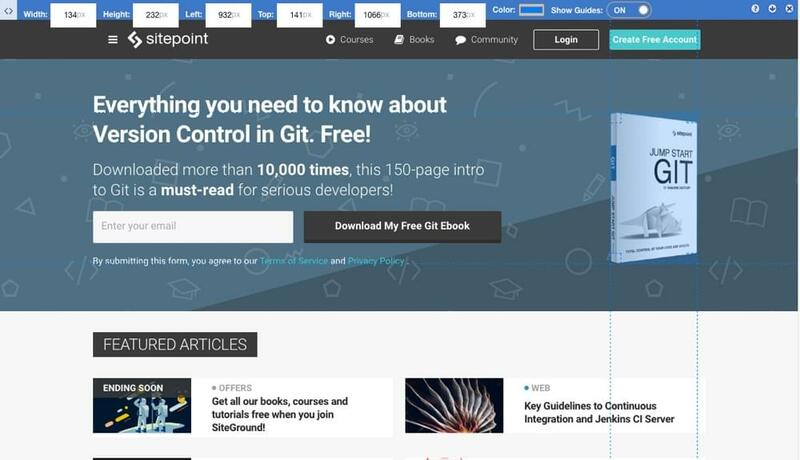 Whether you design directly in the browser (with code, I mean), or you only use web browsers for live-testing web designs in real-time (or otherwise), there are plenty of Chrome extensions for designers that will make your life exponentially easier. My biggest pet peeve? Having to open a huge desktop app to accomplish a relatively minor task, so I’m always looking for Chrome extensions that solve common design problems quickly. in case you work in Firefox too (if you’re a web developer you probably cross-test in all browsers!). Page Ruler is a useful Chrome extension for finding out the positioning and/or size of any element in the browser — it’s quicker than using the Chrome code inspector, or worse, awkwardly traipsing through CSS files. To start, use the crosshairs to draw a selection around the element in question. The bar at the top of the browser will tell you the length and width of that element, as well how far it is from the each edges of the screen (as if it had been applied fixed/absolute positioning). Tip: use the arrow keys to fine-tune your selection for maximum accuracy. As I constantly have to inspect fonts on webpages, to see what font-size is being used on certain blocks of text, what the actual font name is, and its color, the WhatFont Chrome extension is incredibly useful to me. Click on any section of text to find out the Hex/RGBA value, weight, line-height, font style, and of course the font family. Sometimes, adding the Chrome inspect window at the bottom of the browser throws things off while you’re working, so being able to obtain all of this information without bringing up the entire inspect window makes things much easier! 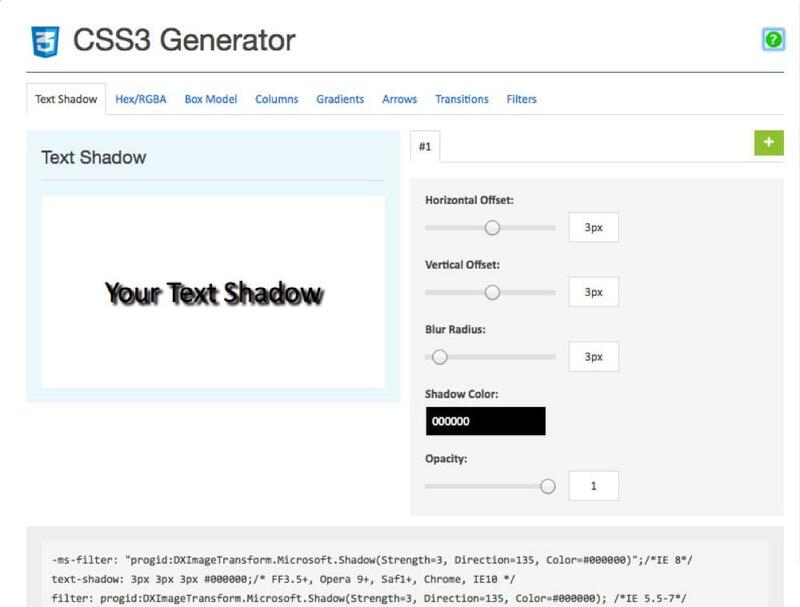 CSS3 Generator is a Chrome app that will help you generate somewhat complex or hard-to-remember snippets of CSS code. You won’t need it for simple things, but let’s face it, some CSS values are difficult to code from scratch (such as the CSS needed to create cross-browser compatible gradients, or CSS transformations). With a couple of clicks you can generate some pretty useful CSS, preview it in the extension preview, then copy the CSS and paste the code into your real CSS file. It’s fairly easy to mistype URLs (or forget to include them entirely, but that’s another story), so whether your clients need help with existing websites, or if you’re building a website from scratch, Check My Links is a must-have for any web designer. Check My Links will scan a webpage and look for broken links — simple as that. It saves you the hassle of having to manually check them yourself. The UI is pretty intuitive. 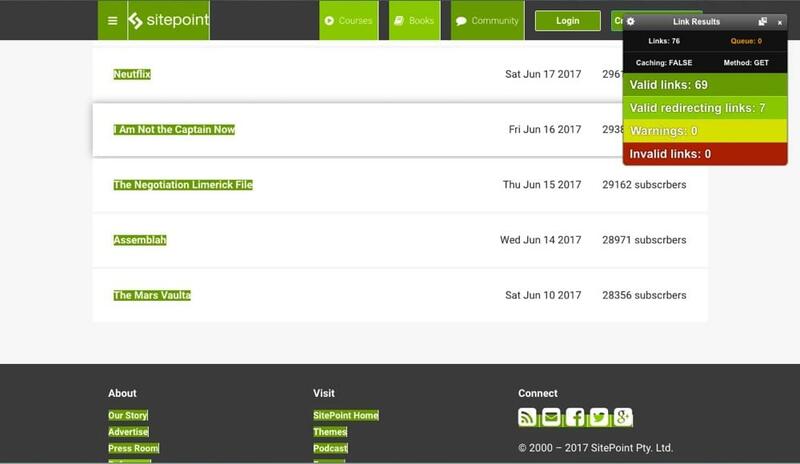 Rather than presenting a list of dud links, Check My Links simply turns the broken links on the actual webpage red, while valid links will appear in green, so you can see what to fix at a glance. Simple! If you need to design a graphic, but you don’t want to open a resource-heavy design app (or if you don’t have one/don’t want to pay for one), download the free Gravit Designer extension for Chrome. Surprisingly, it’s really fast. It’s super-easy to start a design with commonly-used artboard sizes, including presets for blog graphics, social media graphics and common print dimensions. Gravit is a vector design app, which makes designing scalable resolution-independent designs a total breeze. I was surprised by a number of options and features—it wasn’t too different from using a premium design app like Sketch, although the visual UI feels more like Affinity Designer. Expect the obvious stuff like shapes, alignments, flipping, rotating, blurring, drop shadows, the creation of compound shapes, and more. 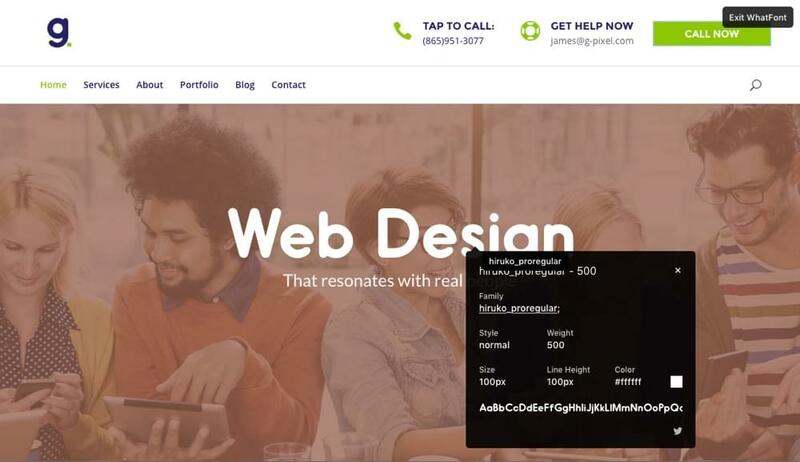 With the ability to also export to PNG, JPG, SVG and PDF, Symbol functionality (like with Sketch and Adobe XD), complex SVG-editing tools with beziers and bezigons, and even filters, Gravit Designer is actually a pretty compelling choice for serious designers, photographers and amateur designers wanting to create marketing graphics. I mean, imagine being able to create designs from within Google Chrome, without having to open Photoshop, Illustrator, Sketch or Adobe XD. 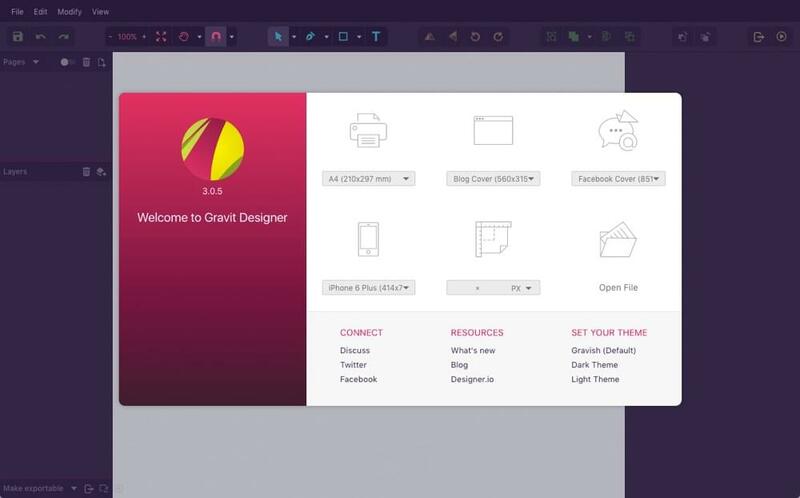 Actually, you don’t have to imagine, you can download Gravit Designer right now, for free! ColorZilla is the eyedropper tool for Google Chrome—it enables you to sample any color from a webpage with a couple of clicks. To start, click the ColorZilla extension icon in Chrome, and hover the cursor over the area you want to sample. You’ll be offered the HSL, Hex and RGBA value of that color. Ordinarily you’d need to screenshot the website and bring it into Photoshop, but ColorZilla is faster. 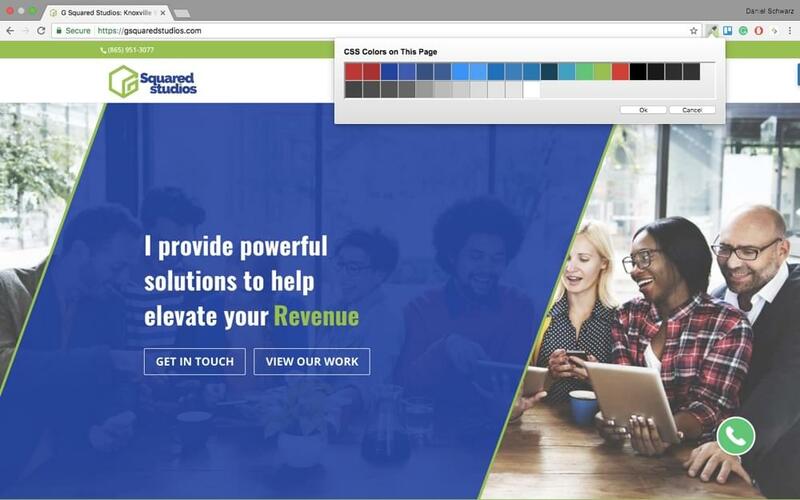 ColorZilla also generates color palettes on-demand from any website, as well as saves your recent colors with the color history feature, which makes it stand out against competitors like ColorPick Eyedropper. Stylebot is a handy Chrome extension for those wanting to quickly try out custom CSS on a live website. It gives you the opportunity to try out different fonts, different colors, different styles, etc, without having to go back-and-forth between the code editor and Google Chrome. We’ve found Stylebot useful as a way of prototyping minor tweaks and changes on a live website, before actually committing them to the codebase. With these time-saving extensions, tasks that are normally tedious, or require you to open/buy more software, can be done with a couple of clicks, and you don’t even have to leave the web browser to do it. 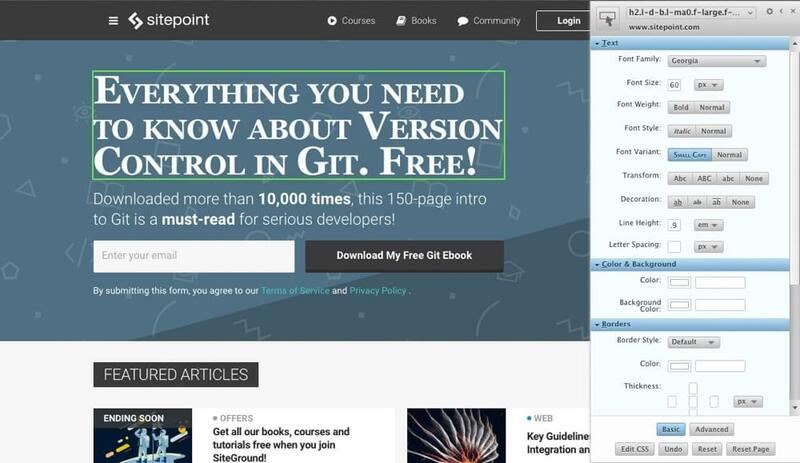 Designers and developers alike will find these Chrome extensions super-useful. Chrome extensions are definitely useful to those that are developing websites, but designers looking to extract visual information from a live website, so that they can use it in Sketch, Adobe XD or Photoshop, will also see noticeable time-saving benefits pretty quickly.